With food supplies tightening, countries are competing for the land and water resources needed to feed their people. With food scarcity driven by falling water tables, eroding soils, and rising temperatures, control of arable land and water resources is moving to center stage in the global struggle for food security. “In this era of tightening world food supplies, the ability to grow food is fast becoming a new form of geopolitical leverage. Food is the new oil,” Lester R. Brown writes. What will the geopolitics of food look like in a new era dominated by scarcity and food nationalism? Brown outlines the political implications of land acquisitions by grain-importing countries in Africa and elsewhere as well as the world’s shrinking buffers against poor harvests. With wisdom accumulated over decades of tracking agricultural issues, Brown exposes the increasingly volatile food situation the world is facing. 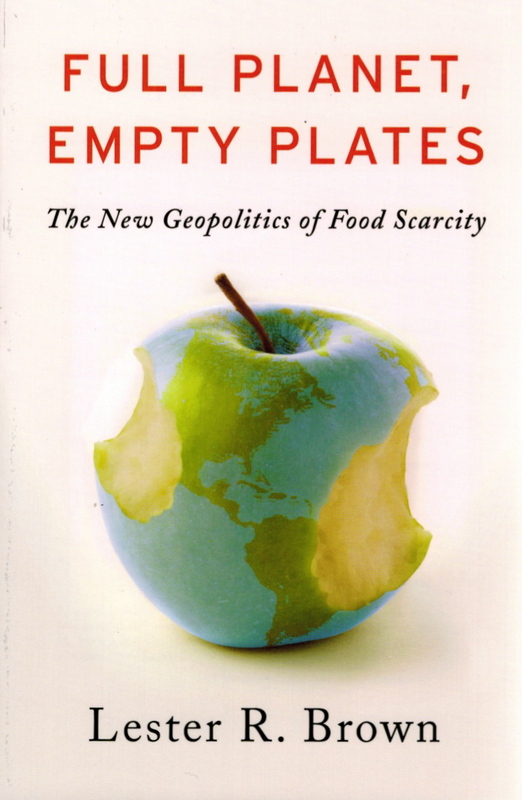 This entry was posted in Books and tagged food, geopolitics. Bookmark the permalink.